This article has been written to highlight the differences between a Regulated and a Non Regulated First Aid course and to help you choose which you need. Click here for our Executive Summary of the difference between Regulated and non Regulated courses. 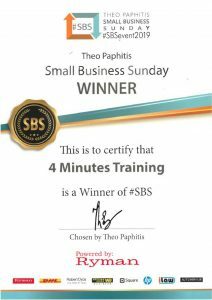 Click here for the evidence that you need to show that Booking a 4 Minutes’ non Regulated course will meet your requirements (due diligence). If you Book a Recognised First Aid course (such as First Aid at Work or Paediatric First Aid) with a Training Provider, the onus is on you to ensure that the Training Provider can and will deliver that course in accordance with Nationally Recognised Standards. That way, you will know that you are getting the right training and can demonstrate this if asked. If you attend a Regulated course, this means that Ofqual (England and Wales) or the SQA (Scotland) certifies that the Training Organisation (4 Minutes) is delivering a course that complies with the Standards. You need to do nothing more than keep the Certificate(s) safe in case they need to be seen. If you attend a non-Regulated course, the onus is on you to show (if asked) that you checked that the course complies with the standards (due diligence). We explain later how you do this as well as providing evidence that 4 Minutes does comply. 4 Minutes offers both types of course (Regulated and non Regulated) and the syllabus is exactly the same. Regulated courses usually cost more to run than non Regulated as there is a cost to this monitoring. For 4 Minutes this is an additional £5 per student and you will be asked before the course starts which you want as we need to register Regulated courses in advance with our Awarding Organisation. Before October 2013, the Health and Safety Executive (HSE) approved First Aid Training providers and their qualifications. As of 1st October 2013 the HSE no longer approves First Aid training, Qualifications or First Aid training organisations. This means that businesses have more flexibility in how they manage their provision of first aid in the workplace but also means that it is the employer’s duty to ensure that any training provider that they select for the purposes of First Aid training is competent to deliver that training. It needs to carry out due diligence on the Training provider to ensure that it is competent to deliver First Aid Training and that it has the relevant Quality Assurance systems in place. Regulated qualifications are delivered by Training Providers that are monitored by an independent ‘Awarding Oorganisation’ (AO). These AOs, in turn, are monitored by the National Qualification Regulators (Ofqual (England), SQA (Scotland) or Qualification Wales) against standards for the design, delivery and award of Qualifications. As part of the Regulated Standards, AOs must have dedicated Quality Assurance processes to approve and monitor their recognised Training Centres. Also, the Qualifications Regulators stipulate that AOs and their Training Centres must work in compliance with the Assessment Principles for First Aid Qualifications. 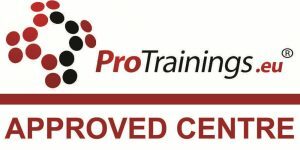 If your Training Provider offers Regulated Qualifications then you do not need to do anything further to ensure the competency of the training provider. Attending a Regulated First Aid course may be more expensive due to the cost of the regulation. 4 Minutes offers Regulated courses through our Awarding Organisation, ITC First. There is an additional cost of attending a Regulated course. For 4 Minutes, this is £5 per student. A Training Provider that works independently of any Accreditation or Regulatory framework can be perfectly capable of delivering your First Aid Training, however you need to carry out due diligence to show that you have checked the competency of the Training Provider. The HSE has published a list of questions (PDF that opens in a new tab) that assists you in this. You should ask these questions of any Training Provider that you intend on using and keep a copy of its answers to demonstrate your due diligence. The cost of the course may be cheaper than a Regulated course. What is 4 Minutes’ position? 4 Minutes offers Regulated and non-Regulated Courses. The course material, teaching and qualification validity is exactly the same in both cases, however the certification will have different wording and the Regulated Certificate will also have the name of the Regulator (Ofqual, SQA, WA) on it. All our processes for administering the course are the same apart from the additional steps to register a Regulated course and process the regulated paperwork/issue certificates. If you specifically need a Regulated Course, we can deliver that for you, just ask us when enquiring or Booking. If you do not then just request our standard course. It will work out cheaper for you. To help you demonstrate your due diligence if you Book 4 Minutes for a non Regulated course, we have already prepared our answers to the HSE questions. Click here to download and save.